Stationery is your everyday communication tool. 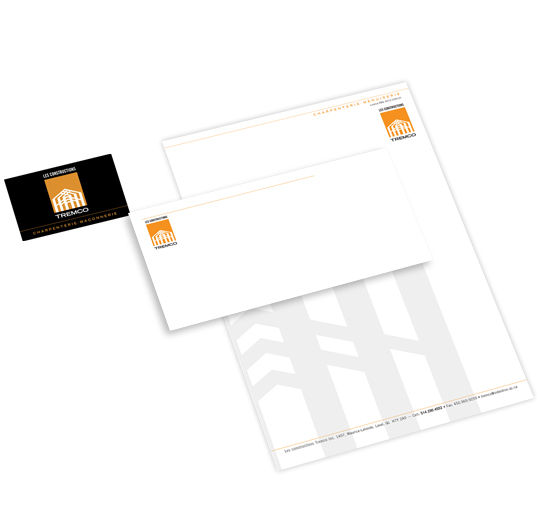 Your stationery allows you to work efficiently, but more importantly, it allows you to convey your message to your customers. Its quality should live up to your service - impeccable. Energik has its roots in printing, a core competency that continues today. It therefore attaches particular importance to your business cards, envelopes, stationery, pocket folders, labels, calendars, and in short, all items that are essential to the proper operation of your business. Although we place top priority on the quality and originality of our printed products, your business takes centre stage. We are constantly exploring the most efficient yet effective ways to achieve your communication goals. We take care of every stage of the design process for each project and each printed product - strategy, graphic design, powerful content development, and print management. Our constant desire for a job well done and our attention to detail confirm that we are more than just designers. We are seasoned corporate image professionals. - strategy, graphic design, powerful content development, and print management. Our constant desire for a job well done and our attention to detail confirm that we are more than just designers. We are seasoned corporate image professionals.